A semi-trailer truck, more commonly called a semi-truck (often shortened to just “semi”), is the combination of a tractor unit and one or more semi-trailers to carry freight. We generally refer to these vehicles as “eighteen wheelers”. Semi-trucks are a lot bigger than other vehicles. In fact, a semi-truck can weigh up to 80,000 pounds. Semi-trucks are also longer than other vehicles. Unfortunately, many people who drive semi-trucks are fatigued. Semi-truck drivers are supposed to work a maximum of 70 hours per week. They are also required to take a 30-minute break after working an eight hour shift. Statistics show that this rest period doesn’t always occur as it should. Overworked drivers are often forced to work longer hours in order to stay on schedule. Driving while you are tired is just as dangerous as driving after you have been drinking alcohol. All semi-trucks are supposed to be maintained before they go out on the road. However, maintenance is often neglected. 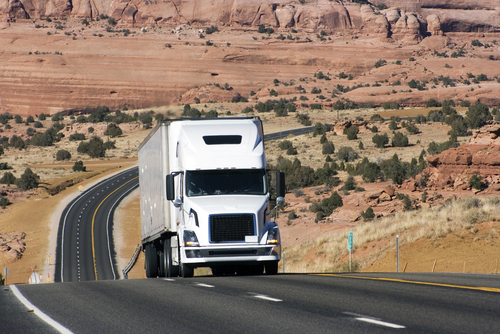 Crashes are much more likely to happen if the truck has not received the proper maintenance. • Truck crashes are often fatal with serious injuries and death occurring in many cases. In fact, death is 10 times more likely to occur in a semi-truck crash. Back, and neck injuries are extremely common in truck crashes. A serious back or neck injury can be disabling, causing a person to miss work for several weeks or be unable to work again altogether. Head injuries are also common. A head injury can be mild or severe. A serious head injury can also result in death. It is important to note that the signs of a head injury may not be noticeable at first. That is why it is important to go to the doctor if you have been involved in a truck crash. A traumatic head injury can change a person’s life forever.Lacerations, broken bones, torso injuries and spinal cord injuries are other types of common injuries that can occur after a semi-truck crash. You need a personal injury lawyer Dallas if you have been involved in a semi-truck accident. A Houston personal injury attorney can help you get compensation.